the carbon steel drill with a straight shank. cutting edges may cause a drill to break. regular point (fig. 5-19) and the flat point (fig. 5-20). angle on the drill used for drilling plastics. size from 1/2 to 4 inches in diameter. 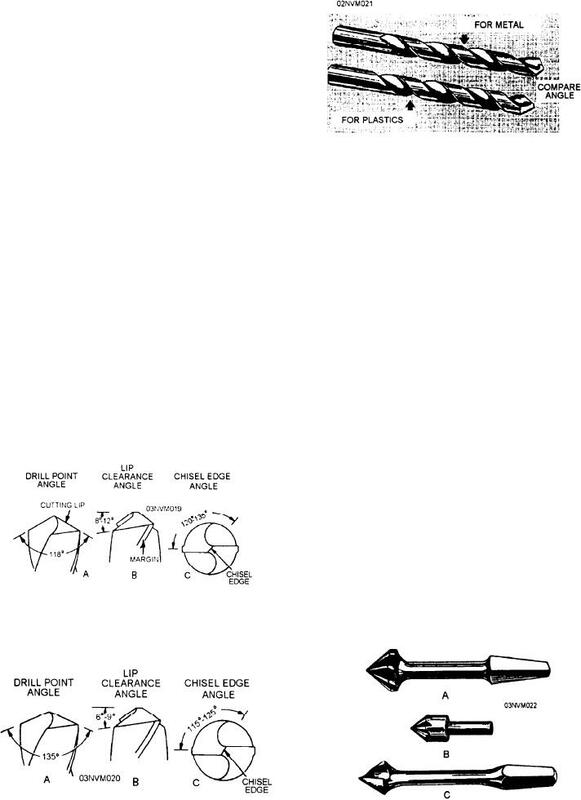 flat-headed wood screw and comes in three types (fig.